I’ve changed the name of my monthly blog overview post into Life & blog update because that title suits better the actual content of these monthly posts since I share in them snippets of my life and remind you of my published posts in the previous month. May was a busy month. BBQs with friends, a couple of board gaming nights, drinks with my besties and a first dinner out with our baby. We were so lucky and got a waiter that entertained our baby boy during most of the meal. Our friend became a dad recently so we’re looking forward to meeting his baby girl. Our baby boy V. is now almost 7 months old and he’s recently started crawling properly. But being a mum isn’t just about happy moments. My first ever Mother’s Day as a mum was a low point. After our day trip to Udine, Italy in April we’ve travelled to San Marino at the end of May. San Marino is the third smallest country in Europe and it’s located in the middle of Italy. San Marino town is a fortified medieval gem on a hilltop. It’s gorgeous! 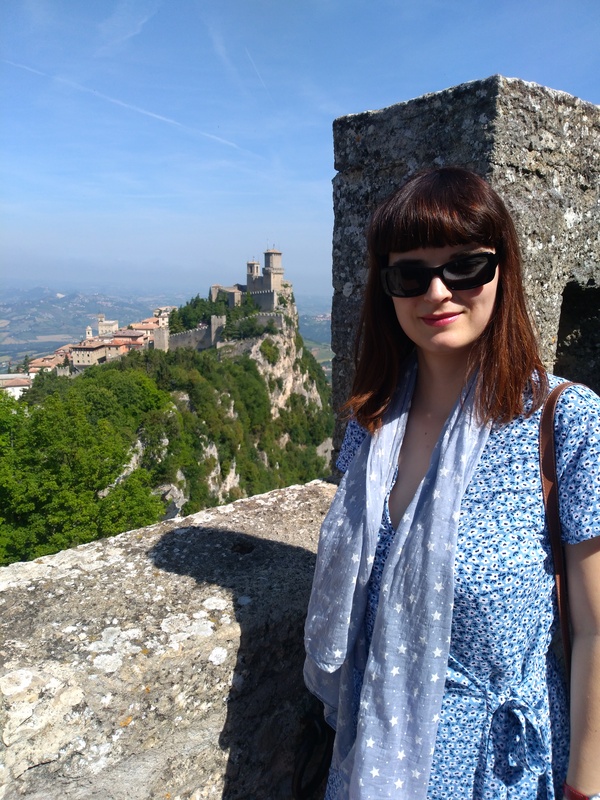 I’ll blog about it but at the moment you can read my post about Imola (Italy), our first stop on our road trip to San Marino. We’ve also visited Rimini (Italy). Sorry Mother’s Day was a low point. But one of the first in 7 months? I think you must be doing pretty good. It sounds like you had a busy and productive May. Congrats on staying social and getting through your first restaurant visit and vacation with baby V! What went wrong on Mothers’ Day? When I visited San Marino (2003), I was actually staying in Rimini for half the summer… partying at the beach in sophisticated outdoors clubs – I was young back then – anyway, I looooved Rimini and Riccione! Wonder if I would now, if I went back… maybe some things (places) are better left as memories and not revisited!! Great shots and love these updates you do. My May not that okay due to a lot of reasons but I am powering through!